Long time ago, a certain place of Anda which is located at the upper part of the town was known for its tropical forest, predominantly by huge molave trees, lawaan, bajong, among others. It is also inhabited by different floras and faunas because of its cool climate and fertile soil. Before, there were only three families residing in the said area. People from nearby barangays visited only this place just to cut trees, harvest fruits and vegetables that would somehow depict an eerie environment. According to the old folks, this place was noted as enchanted place. People were troubled and became less interested to visit this tropical forest. However, some of those farmers had no choice but to toil hard and keep guarded their plants because many monkeys were spotted in the area. When some of them wanted to go home, others must remain and continued guarding the place. Those who will come back were assigned to prepare the meals of his partner and accompany him for several days, which is in our vernacular described as “magTANOD”. So, that’s how tanod came to be. Presently, Barangay Tanod has their own elementary school and majority of the people are engaged in farming, copra business, animal raising and even fishing. Experience the tropical warmth in a very convivial country setting in Barangay Tanod. 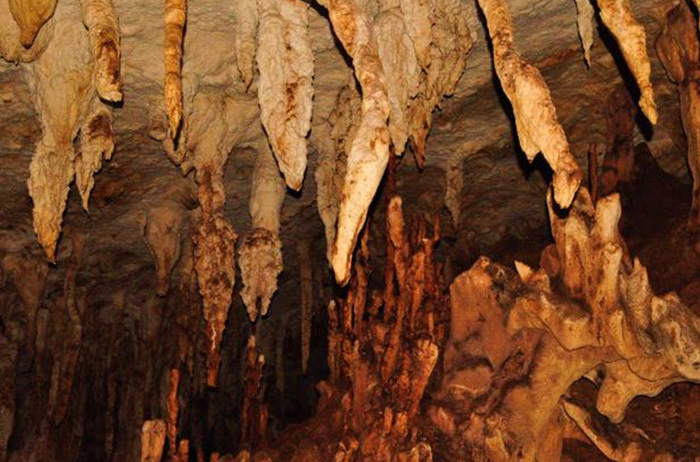 TANOD CAVES – Barangay Tanod has a several caves and many valuable artifacts were discovered by archeologists whom they believed belong to the 16th century. ENCHANTED CARROT PLACE – Being an enchanted place until this time, there is one place in the barrio, a kilometer away from the proper which is believed to be mysterious. Nobody wants to live in that place, they call it Carrot. Many letters from Manila and other provinces were received and mysteriously addressed to Carrot Barangay High School in Anda, Bohol. Most letters requesting forms of transferees from the school. On 1989 another letter arrived in the barangay, addressed to a certain name in Carrot, Tanod, Anda, Bohol from the Association of Architects in Cubao, Quezon City. TARSIERS – Considered as the smallest primate in the world, tarsius syrichta or Philippine Tarsier can also be often spotted in the tropical forests of Tanod. This creature usually feeds primarily at night on insects and lizards. The primate has well-adapted hind legs for leaping, and has extremely long fingers and toes equipped with fleshy disks for traction. STA. CRUZ FIESTA CELEBRATION – Held every May1-2, is tanod’s grandest fiesta celebration in honor of the patron saint, Sta. Cruz. Musical Variety Show, Discos, pinoy games usually take place. ST. ANTHONY FIESTA CELEBRATION – June 13, is another fiesta event that would happen in Barangay Tanod. CHRYSANTHEMUMS – With its natural cool climate, many floras sprouted in the area. one of the common floras that abundantly found in the area is Chrysanthemums-it characterizes to have large, globular heads in which the ray flowers are greatly multiplied, while the disk flowers are unnoticeable or even absent.